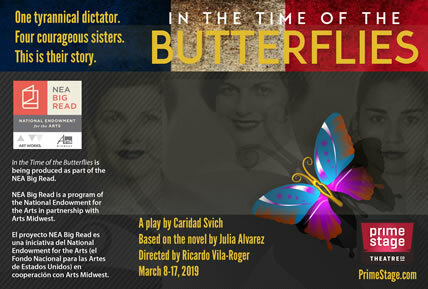 Prime Stage is proud to produce "In the Time of the Butterflies" as part of the Big Read, a program of the National Endowment for the Arts in partnership with Arts Midwest. The Big Read’s objective is to broaden our understanding of the world, our communities and ourselves through the sharing of a good book. Beginning in January 2019, Prime Stage and partner organizations, including libraries, schools and universities, will host a series of public events to celebrate the book and engage audiences and readers alike. Stay tuned for the complete schedule of events. Join us for a night of delicious food, Latino music and libations. We welcome the general public, including the Pittsburgh Latin community, to this kick-off event. 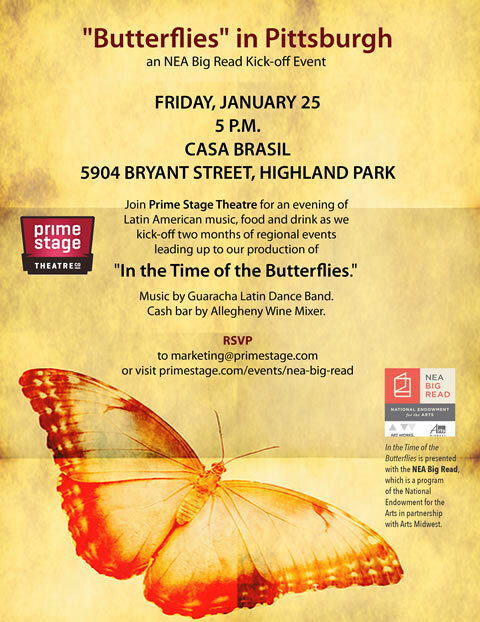 Please note that Prime Stage's NEA Big Read Event "Butterflies" for Friday, January 25th at Casa Brasil is Sold Out.